Creating Back to School Flow... Ahh, Stress Free! Ahh... ease into fall and the back to school flow whether you have kids, attend school yourself, or it is just the annual fall transition. The return to school, fall schedules, can bring on a bit of stress. Summer has its go with the flow, easy kind of existence. 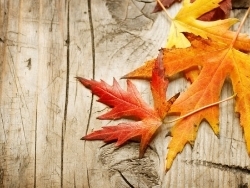 Easing back in to fall can be made simple and stress free by taking a few mindfulness steps. 1. Remind yourself that fall, and the return to school, means a return to an organized, set schedule. Knowing where you need to be, 5 days a week, can bring a level of comfort after the chaos of spontaneous, summer living. Revel in this return to harmony. For more seasonal transitioning stress relievers click here! PS While on my biz blog page, sign up for my newsletter and get the 1st 15 pages of my healing book FREE!